Are you wondering if you have enough attic insulation in your Garner, North Carolina, home? 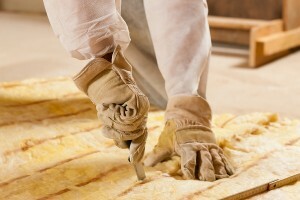 If the thought has crossed your mind, turn to the experts at 31-W Insulation. We are home improvement specialists, offering our expertise and experience to homeowners across the south since 1972, and we will be happy to help you determine if you need more insulation to protect your home, reduce energy expenditures, and save money. You have to constantly adjust your thermostat to adequately heat or cool your home. You notice your HVAC unit is running constantly, regardless of the season, in order to keep your home at comfortable temperatures. You find that your monthly utility bill keeps increasing despite your efforts to consume less energy. If you decide it’s time to evaluate the state of your attic insulation, we can help. Our representative will come to your home, provide you with a complimentary evaluation, and present you with options. We offer all types of insulation, including fiberglass or rock and slag wool batts, fiberglass rolls, blown-in cellulose, and spray-on spray foam insulation. You can be sure that our skilled 31-W technicians are some of the finest in the industry and have the training and experience to provide superior installation services that will leave you completely satisfied. For more information about attic insulation and to schedule a free consultation, contact 31-W Insulation today. We proudly offer our exceptional home improvement services including garage door installation to homeowners in Garner, NC, and all neighboring communities.